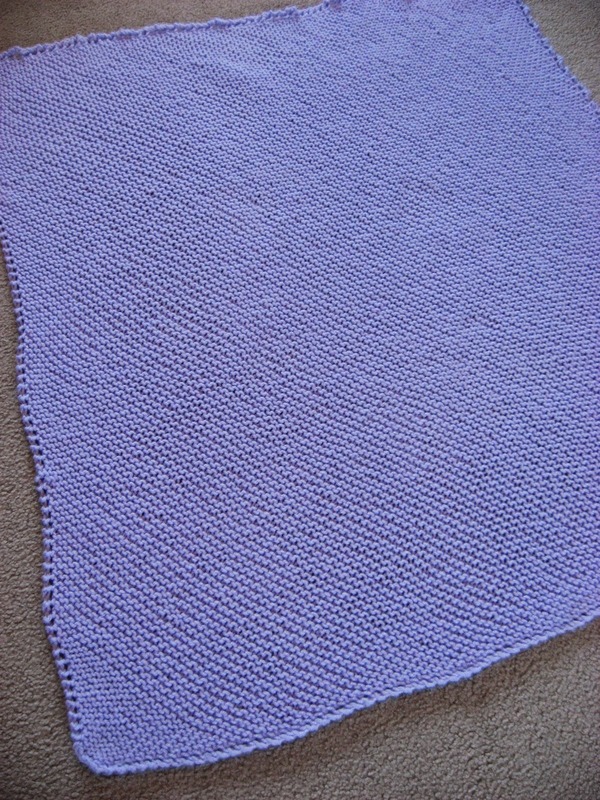 Hooked on Needles: Easy Knitted Baby Blanket ~ Instructions Included! 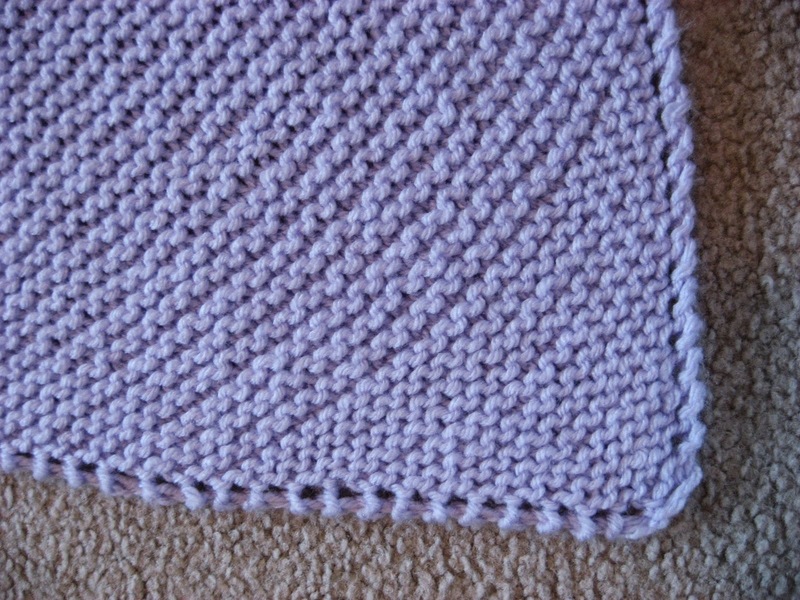 Easy Knitted Baby Blanket ~ Instructions Included! 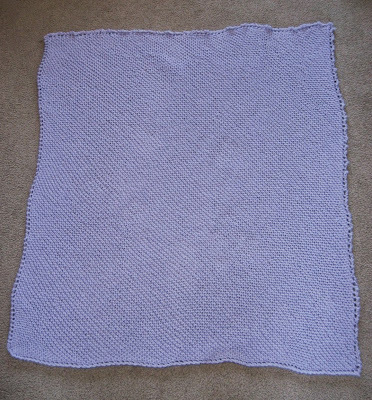 This one is a knit blanket, which is a rarity for me. Usually I crochet baby blankets and afghans, but I had a good reason for wanting to knit this one. 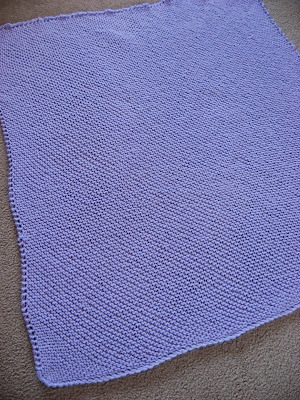 This blanket is knit on the diagonal, starting at the corner pictured here. I started out on size 10 straight needles because that's what I had available, but then I switched to circular needles and the closest I could get to size 10 was size 10 3/4. You can see where I changed needle size, right where the stitches cease to be close and tight and instead become loose and ... well, loose! 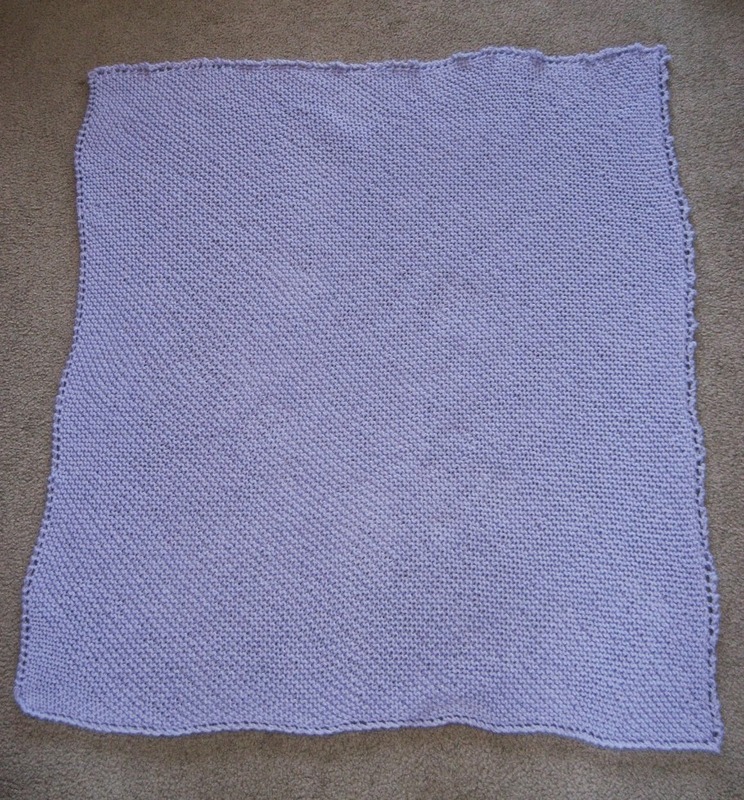 Overall, I don't think the difference is all that noticeable, and the blanket turned out very soft and squishy and quite cozy. So the reason I wanted to knit this on the diagonal is because I had exactly four skeins of yarn to make this blanket and I wanted to use as much of it as possible and end up with a finished blanket. So I needed to use one of two designs. 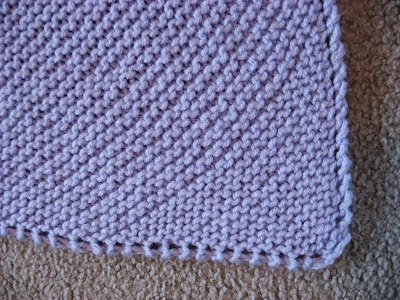 The crochet design would have been a simple spiral square, starting in the middle and continuing around and around until the yarn was gone. 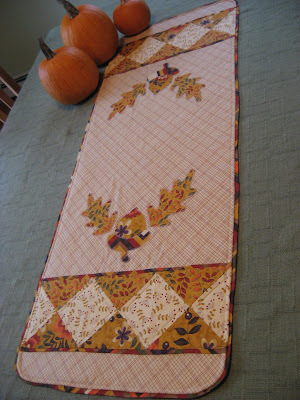 I have done a few blankets like that and they turn out quite nice and it is a good way to use up yarn without ending up with an unfinished item. You can see some examples HERE, HERE and HERE. Repeat from * to * until you have used up almost half of the available yarn. Knit one row even (no increase). 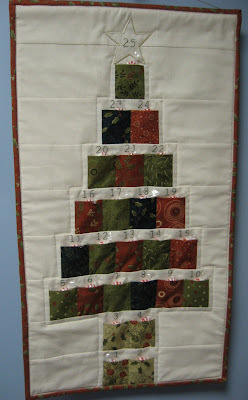 Repeat from * to * until only three stitches remain on your needle. Bind off. Because I had four skeins of yarn available, I worked the increase rows until I had just a few yards left on my second skein. Then I worked the even row and started decreasing. When I bound off those last three stitches, I had just a small handful of yarn leftover. I think it's always safe to err on the the side of having a bit leftover than to get to the end of the last skein and still have one or two little rows to finish! So that's my latest baby blanket, all finished and ready to be mailed out soon to my niece Lucy in Wisconsin for her first baby. I'll also be mailing this crocheted candy stripes blanket to her sister Mary in Texas for her first baby. There are a few other babies due this year in our family, but they are not firsts so I'm off the hook for them!